A championship that has produced its share of talking points without setting the world alight with regard to the standard of play draws to a close on Sunday. The expectation is, however, that Clonlara and Ballyea will give patrons an afternoon to remember. In opposition in the senior hurling decider are some of the players who have shone in an eight-year period where county teams have won Munster and All-Ireland honours at minor, U-21 and senior levels. Supporters have marvelled at the performances of the likes of Tony Kelly, Colm Galvin, Darach Honan and John Conlon, while the O’Donovan brothers will forever be remembered when Cormac was the scorer of a last-minute point that won the 2009 All-Ireland U-21 title and when Domhnall earned a replay in the 2013 senior final. Ballyea’s only previous final appearance was in 2003, when they had to give best to their fellow parishioners. Clarecastle man Fergie O’Loughlin went into the history books as he trained both teams that year. He stepped aside from his role with Ballyea for the final and opted to stay with the backroom team of his home club. After many years plying their trade in the lower divisions, Clonlara won the intermediate title in 2007 and went on to win the Munster title before bowing out of the All-Ireland race at the semi-final stage. Few expected them to challenge strongly in their first year in the top flight but they silenced the critics when winning the Canon Hamilton Trophy at the expense of Newmarket. 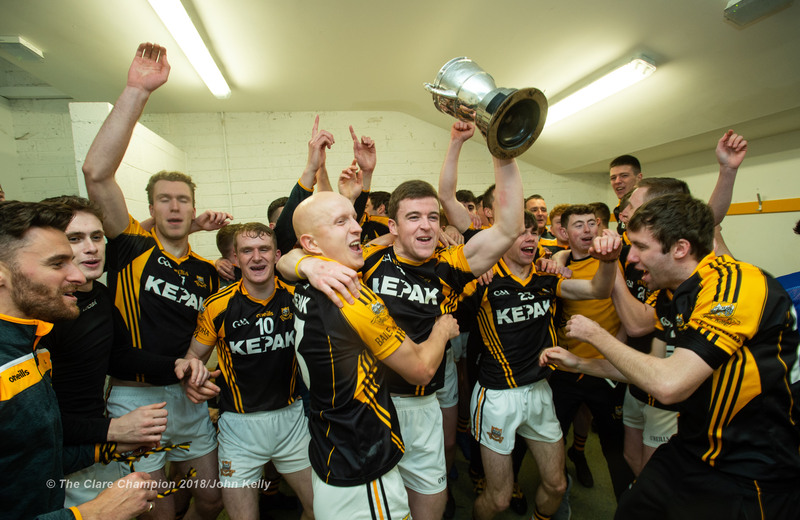 Earlier that year, the South Clare club were crowned U-21 A champions. The trophy hasn’t been back to Clonlara since. The senior team has disappointed at the latter stages of the championship on a number of occasions, particularly last year, when they got to the final but delivered a poor performance against Sixmilebridge. That they are back in the final isn’t any great surprise but they haven’t been overly impressive on their way to the decider. Ballyea, on the other hand, have improved with each outing this year. Their inter-county contingent have delivered some sparkling displays and none more so than Tony Kelly. Clonlara will have to keep the 2013 hurler of the year from dominating if they are to regain the title. Clonlara have a very strong line-up with the O’Briens, the O’Connells, the O’Donovans, Darach Honan, the O’Loughlins, Colm Galvin and team captain John Conlon. It would be foolish to underestimate Ballyea, however. In addition to Kelly, they have excellent defenders in Gearóid O’Connell, Paul Flanagan and Jack Browne and talented forwards in Niall Deasy and Gary Brennan, while Cathal Doohan, Damian Burke, Pearse Lillis and Brian Carigg have the ability to trouble any opposition. Clonlara supporters would be concerned that they haven’t been closing out games. They have yet to hit the form they are capable of but, yet, it’s very hard to go against them when predicting the outcome of Sunday’s final. 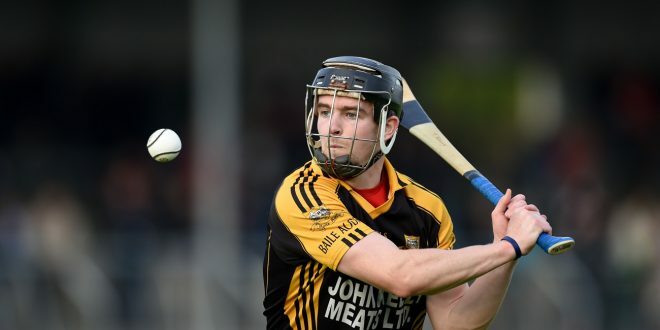 In Conlon, Honan, the O’Loughlins and Cathal O’Connell they have forwards who are capable of unlocking what has been a strong Ballyea defence in this campaign. Clonlara certainly have an edge in experience and at the end of what should be a tight contest, this may prove decisive. The throw-in is 3.30pm. The winners will play either the Tipperary or Waterford champions in the Munster semi-final on November 13.